Hey, y'all! I'm really excited about today's post because it's been in the works for a couple of weeks. If you've been following my blog for a while, you know that I've fallen in love with Bible journaling. It has made me more passionate about studying God's Word. 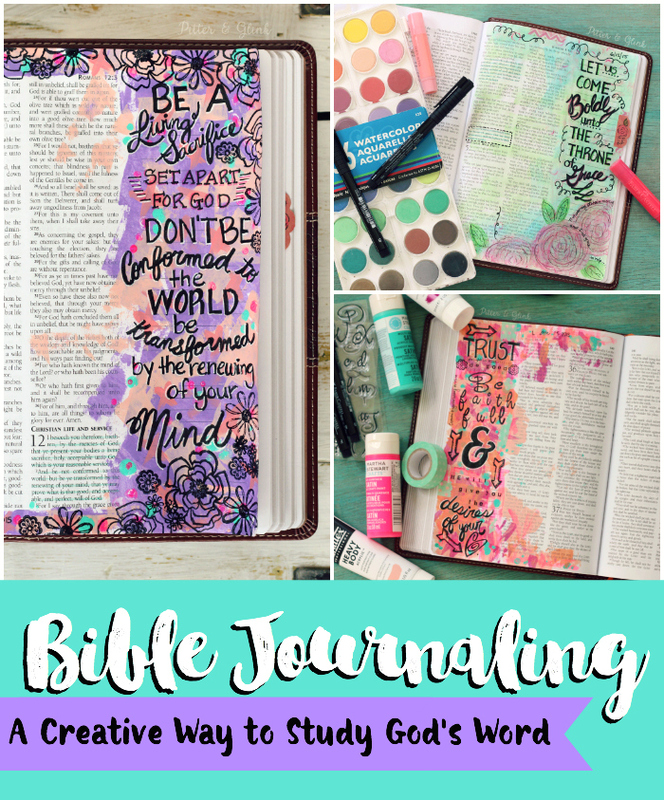 I have quickly realized that I'm not the only one in love with Bible journaling. 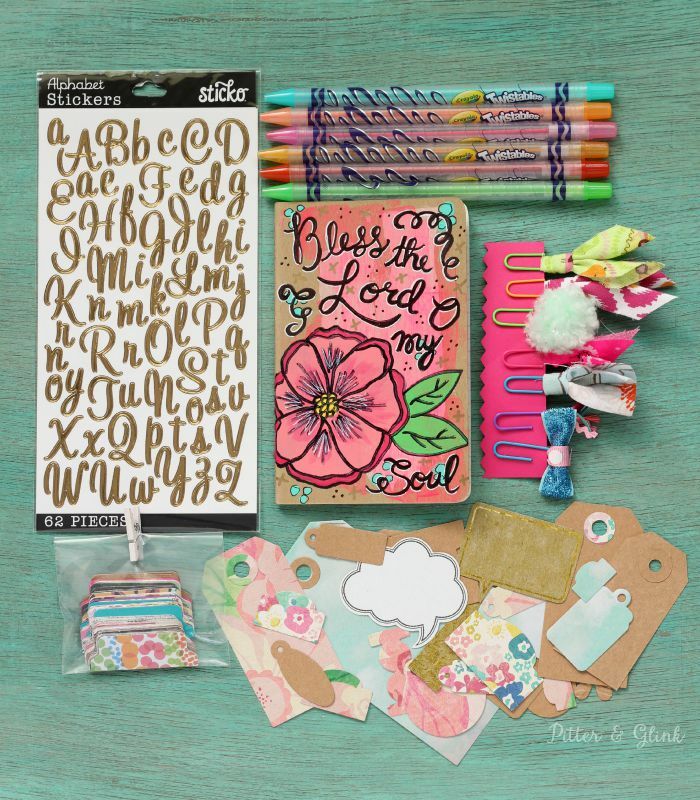 This inspired me to create some handmade Bible journaling supplies and buy a few too so that I could have a Bible journaling supply giveaway here on the blog. I am thankful for each and every one of my readers, and I love when I get the chance to thank you for your support through a giveaway. 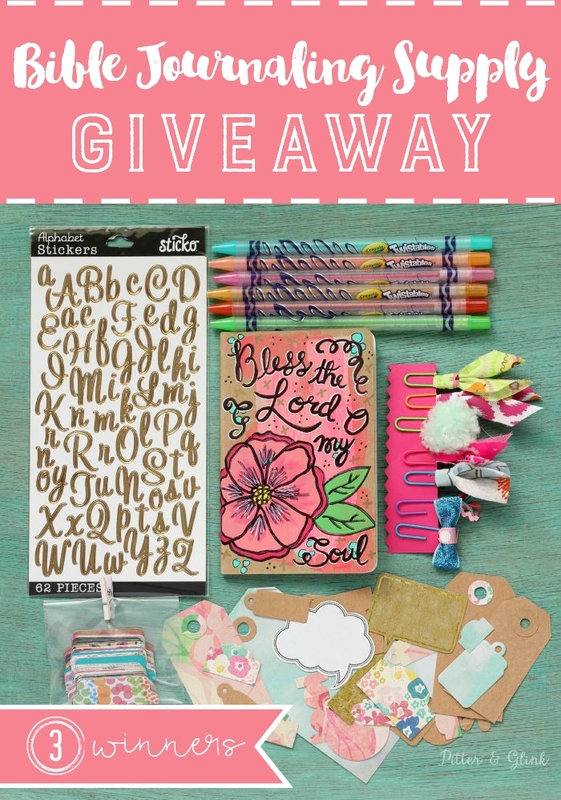 I don't have the funds to host huge giveaways, but when I thought of this giveaway, I realized that I could handmake a lot of stuff to keep the cost down for me but still offer you a pretty fun giveaway. And because a lot of the items are handmade, I was able to put together three supply kits, so that means there will be THREE WINNERS! 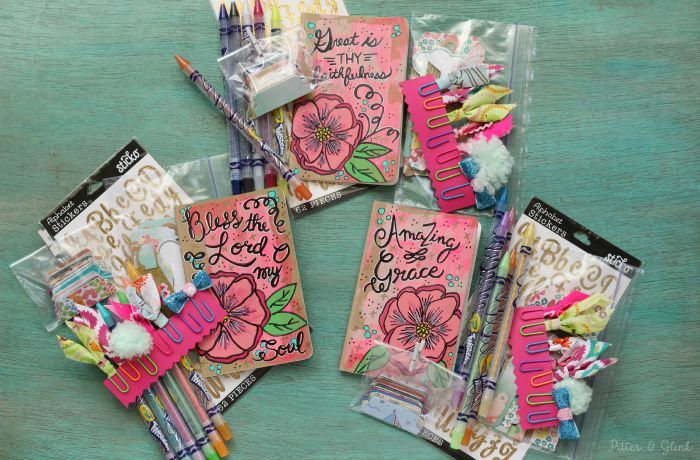 Each winner will receive one of these cute and colorful Bible journaling supply kits. Let me tell you all about the kits. The giveaway is open to U.S. residents only and will run until July 30th at 12 AM. Three winners will be chosen randomly and will be notified through email. The winners will have 48 hours to respond to the email or another winner will be chosen. To enter, use Rafflecopter below. I have seen your post the past few week and I am really interested in starting this! Love this!! Entered to win! Love!! I'd be so excited to start my bible journaling journey!! I would love the hand painted moleskin journal! I would love to win the gold letters and twistable crayons! I want to win because I love your handmade items. 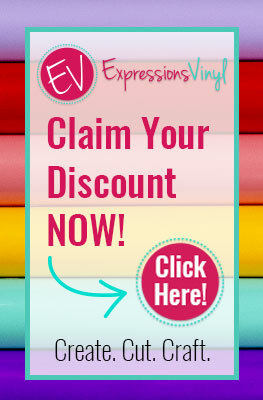 They are so pretty and creative like you! I love the journal and the tags. So pretty! I love the Twistable Crayons but also the tabs. I am a sucker for handmade gifts especially when they are bundled! Excited for the tabs and moleskin! The moleskin would be great inspiration! I am excited for the Twistable Crayons! They are my favorite thing to color with!! I love your hand painted journals! I must reveal, I love those twistable crayons!! This kit is so cute!! Your hand painted journals are beautiful. Thanks for the fun giveaway contest. The twistable crayons interest me - how neat! I would love to start this journaling in God's word. We would not be the people we are without God directing us and loving us. We are nothing without Him! I love this! I haven't started bible journaling yet. I come home everyday and search my front porch for the box with my journaling bible in it, but it has yet to arrive! :( I am most excited about the tabs and the notebook! It's amazing that you made the notebook, so pretty! And I really want to use tabs in my bible to make all my pages more accessible if I'm having a hard time and need to look back at a page I made to brighten my day. Thank you for doing this! 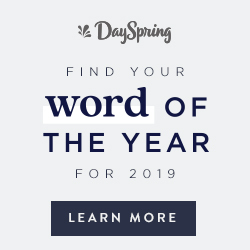 I found your blog by searching for Bible Journaling Supplies. Love it!!! It's so wonderful to ring your site. Also, what a wonderful gift for someone to win. Very gracious! The Hand painted Note Book or the Paper Punched Tabs! This is so amazingly awesome! Thank you! What a wonderful giveaway! I'm most excited about the beautiful notebook. I would really love to try this!